Happy 1st Birthday Ava Claire! It’s hard to believe a year has passed since the birth of this precious child. It seems like just yesterday that we were making plans for her baby shower (Woodland Themed Baby Shower). Now Ava Claire is 1-year-old and we have another party to share! 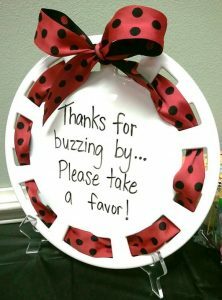 This ladybug themed birthday party is both fun and perfect for the DIY-er! This themes colors are red and black, but you could easily substitute hot pink for a similar alternative look. 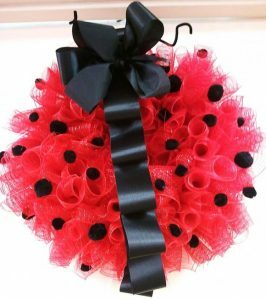 For her attire, sweet Ava Claire wore a red and black tutu with black polka dots, monogrammed ladybug shirt, and coordinating bow. This pretty ladybug inspired wreath was a DIY project created by sweet Ava Claire’s mama! 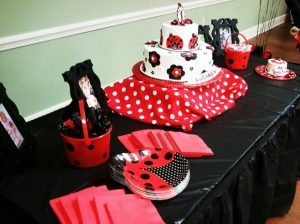 Red, white, black, and polka dots make this ladybug cake table stand out. 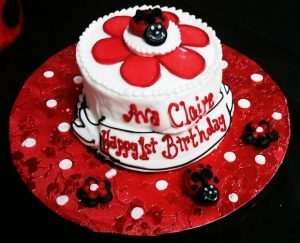 This two-tiered ladybug cake served as the centerpiece for the table. And don’t forget the cake for the birthday girl! 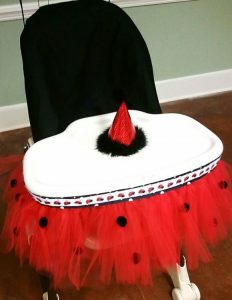 A baby chair fit for a princess – a ladybug princess that is! For a fun and easy baby chair decorating idea, add a tulle tutu to the bottom of the high chair and balloons to the back. 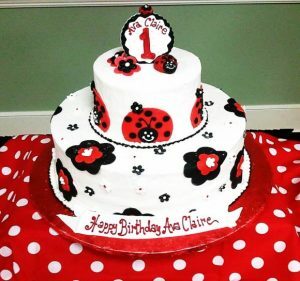 What is the perfect favor for a ladybug themed party? 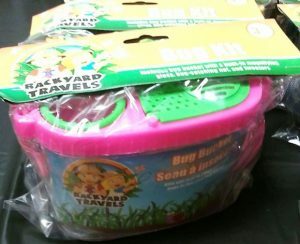 A bug catching kit of course!